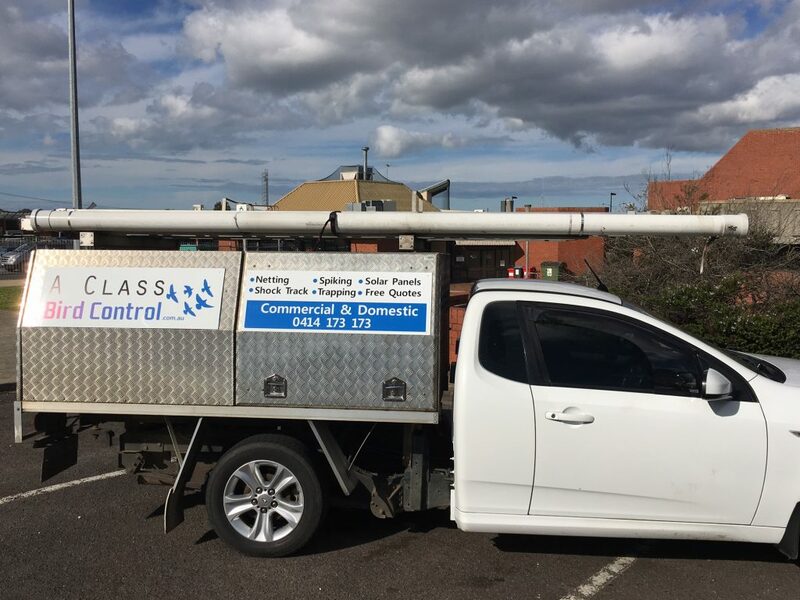 David Faulkner started A Class bird Control in 2008, as he could see that clients for both commercial and domestic buildings were crying out for a company that really concentrated on customer service and supplying the best solutions for their bird issues. David takes the time to study every site personally, to enable him to give the client the best possible options and solutions to their bird issues each and every time. David Faulkner has been in the pest control industry for almost 20 years. He has worked for some of the largest pest control companies in the world and set up and run some of their new divisions in Victoria. Originally covering all forms of pest control, David decided to concentrate on bird control for the last 10 years, constantly looking at the trends overseas, and ongoing developments in the bird control industry. All staff at A Class Bird Control are regularly required to attend training to update their skills and keep up to date on all new products in the market, this results in our clients receiving the most up to date advice and expertise. A Class Bird Control specialize in offering services such as Netting, Shock Track, Cable Bird, Solar Panel Exclusion, Trapping for all birds, Gutter Exclusion for domestic houses, Bird Spikes, Eagleye, Bird Coil, Bird Slide, Daddi long Legs, Bird Kite, Mist netting for birds trapped in buildings. A Class Bird Control is fully insured, and holds all relevant licences such as high risk access and working at heights.